Online sales of consumer books are estimated at over US$4.2 billion in 2007 and academic and professional are forecast to generate sales worth about $3 billion in 2008. Whether we believe the predictions or not it is clear that the purchasing of physical books over the Internet is increasing. The interesting question is at what point it will peak and plateau? Will it peak or continue to erode High Street sales? It is clear that all genre will plot their own path but that the lure of the virtual bookstore coupled with convenience and an increase in ‘search and look inside’ features make it harder to predict. There are now a small number of clear camps selling online; the clicks and mortar chains and bookstores who came late and are still suffering and the online only players who often don’t have the same inventory and cost overheads and are focused and include such as Amazon, Abebooks, Alibris, Books24X7 etc. Finally there are those who are merely acting as ‘white label’ stores and selling others stock on a drop ship basis such as the supermarkets. Finally, ebooks remain in search of the Grail. Predicting their take up is like predicting climate change, we all know its happening but when, what and how are difficult to predict. What is certain is that publishers must generate the digital content if a market it to exist, merely talking about it and looking at ereaders in a content vacuum is not the answer. The format has always dictated the form of writing or content. The book has for a long time been seen by many as being of a fixed size, containing x number of words and x pages. It has front matter, content and end matter. It has in fact been a straightjacket to creativity in that it has dictated what many write even how they write. Have creators adapted to it? Yes. Have some great works been created in it? Yes. Today we are starting to explode the spine and in doing so express ourselves outside of the jacket. Is that wrong or right? Who cares? Creativity and expression is not a book nor is it a blog or anything between. Dickens wrote in instalments and some Japanese authors are doing similar today in their writing for mobiles. The story of the month must go to the news that Random House are to allow audiobook downloads to be sold online as downloads free of DRM. We have written about their watermark experiment with eMusic and the mystery as to why Penguin pulled out. This at last brings some sanity to the market and we hope will not only kick-start the long overdue audio push but importantly allow all online players and the channel to compete. It is great news for the industry and hopefully just as with music the gates will open and many will follow. It is certainly a great day for retailers and consumers. It puts Audible in funny position as it effectively sounds a death knell for their unique selling point their proprietary DRM. The question of whether Amazon would have bought them today is now debatable, as is the price they would have to paid toady. The other interesting position to watch is Amazon DRM free versus Amazon Audible. But the day must go to Random, hats off and sanity returns. The next issue is that of pricing, but that’s for another day. As video increases to draw attention, then so does the means of its delivery on the net. Bluray may have won a war over HD DVD, but another battle is looming with respect to digital video downloads and streaming. As more and more clips are generated and quality film on demand looms ever closer video becomes more important. Video is even becoming more important in the book industry is it is now increasingly being used to sell books. The BBC was reported as considering ditching Adobe’s Flash for the better quality of its iPlayer streams and although they have retracted this they apparently still have quality issues. The quality acceptable for a quick You Tube video is clearly inappropriate to others. So we have Adobe with Flash and are Microsoft coming along with their high definition ‘Silverlight’ project (Windows Media Video V9 based on VC-1as used by Bluray). Then we have the iPhone and mobile platforms and if players such as the BBC are going to make the iPlayer available on Apples ‘I’ family then there are also bandwidth issues, as O2's EDGE data network is apparently too slow. Then there is the underlying standard MPEG4 and H.264. Enough technology! When we look at the iPlayer we see a success story. Since its launch service has attracted 2.2 million viewers who have watched a total of 17 million programmes. Currently the audience is about 10% of the live broadcast audience with streaming outnumbering downloads by 8 to 1. However, given you don’t need a licence to watch iPlayer shows, it begs the question whether the BBC has in fact created something that may come back to bite them very hard. Product Placement or Product Search? We have all seen the subtle but sometimes obvious product placements on TV and in films. These can earn significant exposure for a brand and literally touch millions. Car manufacturers have been know to fight hard and pay big to get their latest model on screen and it always interesting what brands you can spot on the soaps. It’s in your face but outside of the commercial break. We now read an old story that was released in 2006 but got visibility today and prompted us to revisit it. It refers to a book ‘Cathy’s Book’ by Stewart and Weisman and which was first released in the US in 2006 by Running Press and published in the UK last year by Bloomsbury. Unfortunately the Bloomsbury site doesn’t have the same buzz and the search inside on the page took us to David Dimbley’s ‘How Britain was Built’ – hardly relevant unless you count lip gloss as foundation! A novel will obviously make references to all sorts of common goods but do so to add relevance and gain empathy with what they are trying to describe. In reality the opportunity is very real but unless the book is a bestseller the eyeballs could be limited and not the sort of speculative investment advertisers like. There are exceptions and apparently Bulgari went one step further and commissioned Fay Weldon five years ago to write ‘The Bulgari Connection.’ Not bad work if you can get it! Irrespective of the success of individual titles to secure ad placement funding or support it looks an exercise doomed to be undermined by technology. Why should manufacturers pay anything to a publisher or author when they can potentially search their product on a book search and then place their ads accordingly. It may not happen that way but as content becomes searchable on line so does the opportunities to exploit it in ways that were never possible before. Go to Google search on Books and type in ‘Nescafe’, ‘Perrier Water’, ‘Walkman’, etc and you soon get past the brand marketing books to novels that refer to the brands. Unfortunately sometimes the reference isn’t always what you expect! But interesting how content search and advertising aren’t far apart. My Space, My Music, My Book? Could MySpace with its captive audience extend to capture the music download market? The online social networking site owned by News Corp, is reported in sources including Wall Street Journal, Financial Times and CNET.com as being in talks with the major music companies to launch an ad – paid free music service. This could effectively open up the free music to a huge market, obviously generate significant ad revenues and blur still further social sites and media. It would certainly capture the attention of the widest audience and turn MySpace into an even greater phenomenon. It would also act as a launch pad to catapult News Corp potentially into many new acquisitions. 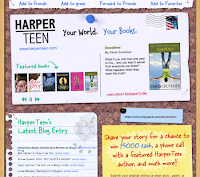 We read last month that HarperCollins plans to team up with its sister company MySpace, to build and launch a new "create and share" space, http://www.myspace.com/harperteen where kids on the site can write prose and share it with friends on MySpace. Given the ownership of HarperCollins and their digital drive, will we next hear about My Space giving ebooks away on an advertising paid model? It is always good to watch the major publishers such as Thomson, Reed Elsevier, etc. They focus on markets and move decisively in them and disinvest ruthlessly when they feel they need to realign their focus. They may seem big and cumbersome to some but financially agile to others and importantly have to keep the City happy. Reed Elservier, who employ around 37,000 people, own a large share of the legal publishing market, with the likes LexisNexis and are majors in other sectors such as business publishing, the medical publishing market, with journals such as The Lancet, and exhibitions are embarking on a significant cost saving programme. It is reported that Analysts believe that the centralising functions such as procurement, human resources and IT across the group will shed as much as £100m a year. Reed operate in publishing sectors that have done very well out of digitisation and that have enabled it to develop value added service onto their content. It will be therefore interesting how they reign in these centralised functions as a model for others to potentially follow. We have written previously about the development of the organic light-emitting diode (OLED) screen technology to make medium to large panels. OLED uses organic, or carbon-containing, compounds that emit light when electricity is applied. Unlike the current crystal display technology it doesn’t need backlighting, making OLED screens slimmer and more energy-efficient. Sony launched the world's first OLED TV last year which is 3 mm thick and consumes 40% percent less power than a comparable LCD, has faster response time, bright colours and a wide viewing angle, but is restricted to a 11” screen. Sony have now committed $200 million to the develop medium to large OLED screens. Screen technology will be pivotal to providing a standard experience as technology continues to converge and today OLED looks to be the favourite to cover all the bases. Bill Gates will launch Microsoft’s new "DreamSpark" initiative during his tour of U.S. and Canadian colleges that starts next week at Stanford University. 'DreamSpark' is about giving college and high school students around the world students free use of Microsoft’s tools such as Visual Studio, Microsoft's main development tools used by professional developers, and Expression Studio, design software over the Internet. The initiative will be available immediately to college students in the United States, Western Europe and China and enable them to write software applications, design elaborate Web pages or create new video games to run on the Xbox 360 console. The plan is to extend this to other countries and high school students and potentially reach 1 billion students. 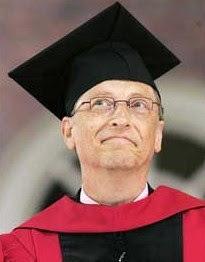 Microsoft’s driver according to Gates is to give students broad access to software tools that can be expensive and difficult to get. Others may see it as a ploy to get them hooked on these tools and off rivals such as Adobe’s design software. The attractive element may be the XNA Game Studio software development tools for writing video games and a free one-year membership to the "XNA Creators Club" that would enable the students to bring the games to the Xbox 360 platform. Microsoft today already makes development and design software available to students, but through a universities registration program, but this takes that one stage further and will be an attractive offer to many students. The imitative can be viewed in many ways but the initiative even if matched by others will lead to more technical savvy and multi media competent graduates. We read this week of Dorling Kindersley’s agreement with media content company Mobifusion to globally deliver branded mobile content to consumers. Earlier this year a similar deal was struck with Encyclopaedia Britannica for their Concise 2008 encyclopaedia and in Decemeber another deal with Oxford University Press was sealed to create and deliver mobile editions of Oxford's dictionaries to mobile phones and devices through key wireless operators and other sales channels. If we forget the service what this indicates is that the reference publishers are starting to see the potential of porting their materials on to the mobile platform. Many believed that this was the domain that the ebok reader woulds secure but it makes just as much sense for this world of quick search and retrieval to go straight to the mobile. After all you need look no further than the market acceptance of the Blackberry and mobile emails and graphical capabilities of the iPhone to see that an ereader would just be a clunky device. As we said before all we need is a iPhone and an Airbook all the rest are mere pretenders. Imagine you sold 3.7 million units but could only had 2.3 million registered to use the closed service you had created. How do you loose 1.4 million or 38% of the customers? Where are they going with the units they bought? The problem is one facing Apple and the iPhone in the US. The problem is that many are being bought in the US and then going to other markets such as China. The other issue is that Apple tied their phone to a service so to maximise its additional revenues but consumers wanted the phone but not the AT&T service and contract. Today you can easily find a service to ‘unlock’ the iPhone for local markets. Today you can do the same in the UK and effectively bypass the O2 service. What Apple have failed to grasp is that if 38% effectively walk away then there is a significant demand that is being restrained by a service tie in that is clearly not wanted and by unshackling it they could reach its true potential and also position themselves for the pending software wars. Google have now declared themselves phone free and that they are going after the software market with their Android offer. Nokia, Sony, Motorola and the other phone manufacturers will always be capable of catch up so why inhibit what is clearly a design icon and a major step change in mobile technology? Todate, about one million Blu-ray players have been sold with another three million integrated into Sony’s PlayStation 3 consoles. Interestingly, about one million HD DVD players have also been sold with Microsoft having backed the HD DVD standard and sold a compatible player to accompany its Xbox 360 video game console. Although downloading of high definition movies face challenges the DVD is seen by some as a transient technology so the Bluray DVD victory may be as short lived as others before. However, the defining moment of market capitulation once again shows us how sudden format wars can be finished. Today the ebook war is plagued with format wars, Mobibook, MS Reader, Adobe, epub and more. We already see the signs that Sony could be repositioniong itself away from its proprietary format. What is clear is that these wars will be decided like those before them by the adoption of those that count and in book terms that must be the retailers and the channel and not ereader technology or even publishers. Unless Amazon open up the Kindle its had its day of glory and Sony and Adobe are poised but who will make the difference? We read today of the demise of the Nielson booktrade web site The Book Standard. There are certainly many wishing to compete within this crowded space and with limited financial reward many face uncertain futures. The web is redefining journalism. It is changing the content, how it is delivered and the business model that has long underpinned it. Newspapers now have to develop better ways to sell their ad space online and have to compete with new gorillas such as Google, Yahoo and Microsoft. Yahoo has over 264 US newspapers distributing their content on their portal. Google's PrintAds program enables its customers place ads in 600 daily and weekly U.S. newspapers. These programmes are among others that are redefining the landscape. Now four major U.S. newspaper groups have launched an online ad network that enables customers to book national campaigns to over 50 million readers a month in the US through a single point of contact. This group includes flagship newspapers such as the Chicago Tribune, USA Today, the San Francisco Chronicle, and the New York Times. This move is clearly aimed at protecting the business model and control over both web and print property. This collaborative approach may negate the need for them to share revenue with the likes of Yahoo and Google. Both corporate and classified advertising is changing and being redefined online. Last week we wrote about the Oprah touch and her 48 hour offer to download Suze Orman’s book ‘Women and Money’ for free. According to reports, more than 1.1 million copies of Orman's book were downloaded in English, and another 19,000 in Spanish. The demand has been compared in the US press to other online sensations as "The 9-11 Commission Report," and Stephen King's e-novella, "Riding the Bullet.". The offer for "Women & Money," originally released a year ago by Spiegel & Grau, has not impacted physical sales with the book ranked No. 6 on Amazon.com and with the paper edition of "The 9-11 Commission Report," published in 2004 by W.W. Norton and Co., was a best seller for months. This month we have also reported on the HarperCollins full book promotion and other experiments by the likes of Random House. Perhaps the market is finally wakening up to the reality that you can’t have a market without content and you certainly can’t have a one without first stimulating it. Merely making another ebook reader is a waste of time. Consumers want to have content and have some offers that compel them to try. Forget the back list and new authors the market need some oomph and as Oprah has proven people will respond to the right promotion. Will Richard and Judy now follow? Will an ‘A’ list author now take the plunge and fordge their name in history as the tipping point? Well done Suze Orman and Oprah Winfrey for boldly showing the way. We raise our hats to Nicholas Clee in the Guardian for spelling out succinctly what we have been trying to say here. It’s a pity he isn’t still at The Bookseller. Meanwhile we read in the Times of the usual doom re the death of the book in the Times yesterday. Did the article say anything new or exciting or even positive? Unfortunately just another space filling article by another business analyst. We then read the biggest non article to get air yesterday on the Atiz Booksnap book ripper. They may as well have used an off the shelf scanner and OCR package. The reviewer thought as little of it as we they colunmn inches it was given.The conclusion that the publishing industry could be Napstered by students and consumers making ‘illigal’ or dubious scans was interesting given the current activities of one certain omnivore at work in libraries around the globe! It must be the digital silly season or is it a certain pay to speak, exhibit and attend event in New York that is stimulating digital mania in the press? No doubt we will here much more from the paid speaking slots but its Oprah who knows how to stir an audience and market! The Journal model has defied all that have striven to destroy it. It creates value by creating authority and reference and its that refrence that is required by its contributors and readers alike. Ok, the authors give it away, its reviewed for free, the subcriptions are paid for in advance of publication, there is no garenteed publications schedule and the very institutions who employ the authors pay to get the copy back. Harvard are now planning to change things albeit quietly by voting to enable its arts and sciences faculty to distribute their scholarship freely online. If passed an open access repository run by the library would instantly make maretial available on the Internet. Authors would still retain copyright and the ability to publish anywhere. In fact the system would be an opt out one which would automatically include works unless the author opted out. An interesting position for authors who could be said to be dammed iof they do and dammed if they don’t. It will be interesting to see what happens, how many will opt out, whether the impact will release greater funds for the libraries and the reaction of others including publishers. We read today of a move we long expected to make a return – digital chapters. Remember ‘Riding the bullet’ by Stephen King which he released in chapters digitally in mode of the most famous chapters man Charles Dickens. Today few realise that that Dickens wrote and released his works this way and many have forgotten the famous Stephen King ‘experiment’. So today its good to see Random House taking on a chapterised experiment. They have long been at the forefront of the digital experiment and this certainly is one to watch. 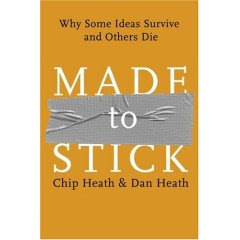 Random will sell the six chapters and epilogue of "Made to Stick: Why Some Ideas Survive and Others Die" for $2.99 each. That makes the total price around $21 for a hardback listed at $24.95. However we can buy the ebook today for $16.47 , the audio CD for $19.77 and the downloadable audio Mp3 file for $15.73. The question this begs is why its is priced so for what is clearly a promotion to sell the book and also the concept. It is in danger of starting life with its hands tied behind its back! We can only wait until someone is brave enough to write and publish a blockbuster in chapters. If the last Harry Potter had been published in chapters not only would the premium be paid on the digital copy but the publisher would not have given away the margin and the physical copy would have probably sold as many copies. The channel would have responded in a heartbeat and everyone would have experienced the ebook. Importantly we would not be sitting hear debating if and when the tipping point on digital will happen. Come on someone ride the bullet. We read today that HarperCollins is yet again at the digital front and pushing back the boundaries. It is now extending some of its ‘browse inside’ digital samples to whole books. The premise is that as they make more available then they will entice more to buy. The offer is not extended to downloads, printing and orders will be fulfilled by Amazon. The offer could not be resisted and makes a stark difference from the often miserly few pages offered by many or the ‘surprise me’ offered by Amazon. Unfortunately the offer doesn’t do digital ebooks a great service as it merely rendered the physical 268 pages of Paulo Coelho’ s ‘The witch of Portabello’ on the screen as images within a flash player. What’s wrong with that you may ask? Well it includes blank pages, you would think someone would have thought that one out. It is an image within a flash player so is restricted by the player in the size of the screen and functionality; basically you can make it fit the screen or make it smaller and see the table of contents. The real issue it highlights is the use of roman fonts to read digital text. Roman fonts look great on paper and add a certain style but on a screen are very difficult to read and when in italics are very difficult to read. "Warriors: Into the Wild" from the children's series by Erin Hunter was easier to read as the font colour was darker but only the first 60 pages were available. Robert Irvine’s cookbook ‘Mission Cook’ was a huge disappointment. We expected photographs of his dishes but found none. It also showed that placing coloured text in coloured sidebars, may well work in the printer copy, but look bad on screen. Flash drives and widgets are samplers to show off physical and digital books. Nobody is going to read a whole book in a flash drive. There is therefore little point in highlighting the digital restrictions of flash by showing the whole book. More importantly the exercise is good if it starts to teach us that what worked in print may not work digitally. Font is an obvious issues but it stretches to layout and design. We have long taken content and merely re-jacketed it, hardback to paperback etc. Perhaps now we have to start to think differently about the digital representation. There is little point to showing the whole book if by doing so it could potentially turns off the consumer to digital books. When faced with a Gorilla you have a limited number of choices. You can turnaround and walk away and pretend he wasn’t there. You can smile and concede the next move is his and that he now owns the garden. You can take him on ‘David and Goliath’ style. You can call your friends, the local zoo and hope that they turn up in time. Audiobook publishers have now entered the garden and are faced with a new Gorilla Amazon / Audible sitting smiling at them. They understand Amazom and its audiobook position and they understand Audible and it position but what nobody but Amazon understands, is what their position is going forward. So just like all Gorillas they are unpredictable. Audible has established an audio dominance based on largely on their DRM technology and ability to deploy it onto multiple platforms where there is no competitive offer and also their exclusive deal with iTunes, which is licensed till 2010. Amazon has its audio publishing publisher Brilliance, a subsidiary CustomFlix which supports both standard CD and mp3-CD audiobook formats in its "disc on demand" service which produces audio titles on CD on demand. We have questioned what role Amazon will play; publisher, aggregator, retailer, technologist or all? We have asked how the relationship will evolve when Amazon wants to go DRM free and MP3 on music and Audible, proprietary DRM phobic on audiobooks. Where does it leave iTunes with Amazon sitting now in their back garden? Publisher’s have long stressed the need for greater competition but have understandably supported the DRM position and thereby restricted the market. Retailers have had little download options to date and even the few that have managed to do a ‘white label’ deal with Audible, now could find the tables shifting. Direct Sales will always exist but consumers want aggregation and choice. The irony in much of this is the fact that it is so simple to take an audio CD and rip it to create a digital file. Its not rocket science and anyone can do it! So why the download DRM fixation and why do we assume that audiobooks will be treated any different to music, which has clearly woken up to the DRM myths. It would be very interesting to understand why Penguin withdrew for the recent MP3 audio trials whilst Random House didn’t. It will be also interesting to understand the potential implications of audio watermarking technology as a more passive and acceptable alternative to DRM. The audiobook CD has still got a life, albeit a short one and one. Perhaps its time to think differently about the content and package and not merely replicate the CD as a download. After all, the format is identical. It is essential the current retail channel is also able to participate in the audiobook download offer. Cutting out this channel will be far more dangerous than with ebooks where the physical book will always have a role and ebooks may only be a small slice of the market. If the audiobook market flips to downloads and an on demand model there will only be one Gorrilla sitting in the back garden and guess who will be dictating the terms? We warmly welcome the BML market research 'Books and bookshops at the dawning of the digital age'. We strongly advocated such research in the Brave New World report and were dismayed when some in the industry felt that it wasn’t needed or that they knew best. What the report gives us all is a stake in the ground and something from which we can measure the future. Does it tell us about consumer demand? Does it tell us what consumers want? The reality is that we are all grappling with predicting and discussing consumer demand in a vacuum and the vacuum is a lack of digital content and consumer offer. The issue today is not ebook readers or formats, it’s that there is little if no digital content and publishing is still in the main an analogue process that produces bound books. 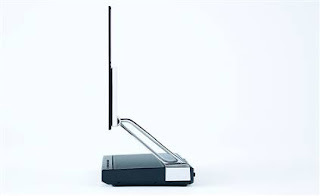 What is the use of an ereader if there is little content and few places to buy it. The format has always dictated the content. Digitisation now creates the opportunity to explode the spine of what we have know for the last few centuries and present content differently. Will it replace the book – no. Will it help redefine it and how we develop and sell it – most definitely. Today we looked at a super widget for real estate agents and had to ask the question – so what? If merely packaging the content in a new wrapper or spine is what we think is the answer we will fail to create new sales and merely create substitution sales. What has to change is the value proposition and benefit to the consumer. There are a few exciting publishing experiments taking place today and we support them all. Today the digitisation of books is like climate change. We all know its happening. We all know the impact is going to be significant. However, no one knows when, by how much and what the result will be. BML has asked the questions that needed to be asked and in doing so started the process of understanding. We are just amazed why it took so long to do something so obvious. Content is clearly becoming media neutral and king of many converging sectors. This broadens the opportunity to exploit the intellectual property into many more and potentially new ways. This then obviously creates more value. The key is who owns the license to the rights and how are the rights acquired can be maximized? An old publishing rule was to acquire rights broadly and use narrowly. In other words get as many rights as possible such that you have them if needed but that you start focused. Does this approach still hold today? Is it part of the digital dilemma, where publishers want to secure digital rights and not necessarily fully exploit them all, but authors and agents are reluctant to give them away? The one thing that ties all media sectors together is rights. As media sectors converge then the rights lines also start to blurr but more importantly the players can become interchangeable. Fascinating times! Last year we saw BBC Worldwide acquire Lonely Planet. Irrespective such acquisitions may, as we predicted at the New Year, become more common. Today we read that the BBC Worldwide are considering entering other partnerships with private equity groups and other financiers in order to invest in other media production, publishing and intellectual property opportunities. It is sobering to consider how small and fragmented the publishing industry is in relation to others. This makes even the large companies relatively easy targets. This has always been the case but what is now changing is that one rights company could potential buy into another rights company from outside their sector. What they buying is another rights business with content. The naive among us presume when you go to a conference and you pay an entrance ticket you will get independent viewpoints and insights and although there may be some vendor stands that’s all that is paid for. When you read a press release and statement of endorsement from a industry body we assume it was given freely and openly. After all when you go to trade fairs you expect to pay little, if anything, to enter and know that you will be sold to at every opportunity. We all know that when you contribute to a feature article in the press that the advertising editor will place a call asking you to buy ad space. You may say no, but often its not easy. Perhaps we are of an age that expects or respects independence and are cynical when we don’t receive it. Conferences, fairs, press are never free and are businesses that need to be paid for. Visibility and a voice to project yourself and your services is afterall is what you pay marketing monies to achieve. Tying the two together is logical to any vendor. All the organisations we have worked for have never paid to buy a speaker slot at a conference. In fact we often feel it is to be valued then it should be the other way round. We remember fondly the ‘Publishing in the 21st Century’ research and conference programme which was effectively free, independent but clearly paid for by the vendor, Vista. It sad to see an industry digital conference today that is getting the 'must go' treatment and offers so much in what it has to say, but where the entrant pays to go, the vendors pay to exhibit and according to their contribution are ‘given’ speaker slots with little if no editorial input and where others vendors merely can buy speaker slots. These conferences are often focused on the very issues that are topical but sadly are often not worth the effort nor the support they are given. The keys to watch for are graded levels of vendor sponsorships, wall to wall vendor stands and speakers and slots clearly managed by the vendors and worst of all an entrance fee. Personally we will not be spending thousands of pounds to secure a speaking slot, tied or not to a stand, nor paying an industry body to get a supportive quote on a press release. We believe that there are many who seek genuine help through these digital times and we should not be ‘cashing in’ on them or the vendor’s eagerness to sell in the name of clarity. The omnivore wars have taken a different twist with Microsoft tabling a $44.6 billion cash and share bid to buy Yahoo. The bid if successful would represent one of the biggest takeovers in American corporate history and the largest technology takeover. This latest move apparently follows an earlier friendly deal that was rejected. Yahoo shares unsurprisingly jumped 56% some $10.71 in response. Earlier this week Yahoo! announced 1,000 job cuts and the battles for the online search and advertising market share mean that companies need to merge to compete for market share with the dominant Google. A century of publishing should be cerebrated and whatever anyone thinks about the content of Mills & Boon’s books they have had a very successful 100 years. Staring as a general fiction publisher in 1908 it wasn’t until 1930 that they began to focus on romances. The figures speak for themselves 13.5m books a year, with regular readers getting through an average of four books a month with Harlequin Mills & Boon selling in more than 100 markets, in 26 languages, at a rate of one book every two seconds. They currently publish around 70 books a month in US and UK editions. So why are they on this blog? They have taken bold steps to make their titles available as ebooks and have some 2000 titles digitally available in North America and each new tile is digitised as part of the programme. The UK programme is to launch soon.